Attention Please Don't Let Him Lose Another Eye! HELP Him! Don't Let Him Lose Another Eye! HELP Him! They are everywhere-the ignoble cancer. The mephistophelian cancer has struck once more. This time 29-year-old Leng Kavern is the victim again. Yes, AGAIN...this was the second time the ruthless malignant growth has threaten to gobble up his vision indirectly. The cancer is literally blinding him up. His right eye had been "killed" by the cancer and he is doing everything in his might to salvage his left eye. Leng Kavern needs at an estimated RM120,000 (US$34,000) for Proton Therapy in China. He needs our help. Below is the real article sourced directly from The Star. 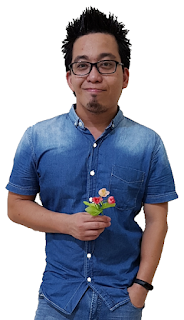 "I still hope to see beautiful things in the world and continue blogging — this is the fervent wish of 29-year-old Leng Kavern who has already lost his right eye to mesenchymal chondrosarcoma, a very rare skull-based cancer. The former student service executive is now facing the possibility of losing his left eye and becoming permanently blind. “I’ve already lost one eye and I do not want to lose another one,” he said in a recent interview. Leng said the first surgery was conducted in April 2006 at Island Hospital in Penang, followed by a series of radiation therapy at Hospital Pantai Mutiara in June 2006. In January 2008, the recurrence of the disease was detected and within six months, his health deteriorated with eye proctosis (displacement of the eyeball) and partial hearing loss. A second surgery was conducted at Hospital Universiti Kebangsaan Malaysia (HUKM) on Sept 26. However, full removal of the cancel cells was not achieved and sadly, his right eye had to be removed. right eye and the surgical scar on his head. Leng said he saw an oncologist at LohGuanLye Specialist Centre who recommended a post-surgery treatment known as proton therapy which uses the proton beam and results in less radiation than the conventional radio therapy. The nearest places where the therapy is available are the Wanjie Proton Therapy Centre in China, Samsung Medical Centre in Korea and University Hospital in Japan.Tsukoba The cost of the treatment in China is estimated at RM120,000. “I cannot go through a second radiotherapy as it would lead to tissue ornecrosis (tissue damage) which would damage my left eye. I need a pinpoint treatment,” explained Leng who has became well-versed in the medical terms. Leng said he was waging an ongoing war against the toxins and rogue cells in his body everyday. “There are days when you feel that the battle is lost and then there are days when you feel motivated to fight on,” he said, referring to the care and support from family and friends. Caring Malaysians who wish to help him can make their donations by cheque payable to MCA Public Services and Complaints Department with the patient’s name, Leng Kavern, written on the reverse side and addressed to Datuk Michael Chong, Tingkat 7, Wisma MCA, 163 Jalan Ampang, 50450 Kuala Lumpur. For more information, contact 03-21615678 or 03-21618058." dated 5th November 2008 (Wednesday) on page M12. He needs your help! Every dollar can save his vision and even his life. Please pass this on!! !